Annemarie Van Gaal was born on 9th October, 1962 in Netherlands. She is the Founder of the Independent Media Group, CEO of AM Media publishing company and an Investor. Annemarie began her publishing career in 1985. She held the position of executive assistant to one of VNU’s managing directors in Netherlands. About five years later, she got promotion and became the project manager of a subsidiary of VNU. In 1989, Gorbachov came to power in the Soviet Union. His political ideas triggered western companies to form a joint venture in Russia. A Russian-Dutch joint venture was formed by VNU in 1989. This was called the “Moscow Illustrated Press” and it published two magazines which included The Moscow Guardian and Moscow Magazine. In 1990, VNU sent Annemarie to manage their joint venture but due to the cultural differences between Dutch and Russians, it was not possible to keep the venture going. Therefore, VNU chose to freeze all activities in Russia in 1991. In 1992, Annemarie quit VNU and started her own company in Moscow. In 1992, she founded ‘Independent Media’ which grew rapidly because of its unconventional approach. From 15 employees and turnover of $1.5 million in 1992, the company grew to 700 employees and turnover of $80 million in 1998. Over the years, “Independent Media” has received many awards and prizes and since 1998, it has been a leading publishing company in Ukraine and Russia in various fields including newspapers, trade publications and consumer magazines. They are the publishers of 39 consumer magazines including the Russian editions of Men’s Health, Harper’s Bazaar, Good Housekeeping, Marie Claire and Cosmopolitan. In 2000, Annemarie had to leave Russia because she wanted her sons to be schooled in a Dutch institution. In the same year, she became the General Director of Telegraaf Magazine Group in the Netherlands. Her role was to oversee the magazine activities and its international expansion. She also launched several magazines for the company, defined strategic plans, acquired the important licenses and ceased publication of those magazines which were non-profitable. 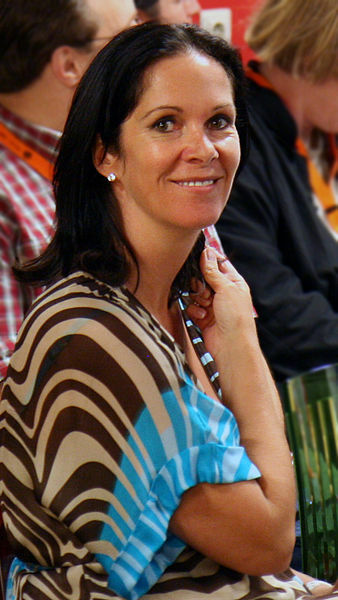 In 2001, she stepped down from her position of general manager due the conflict between the Independent Media shareholders. She remained advisor and on the supervisory board for both the magazine groups. Whenever new clients are in the process of purchasing media companies, she helps them with the process. Being an industry expert, she has in depth understanding and knowledge of how media houses work and how investments in media companies should be made. AM media was launched in 2003. Apart from founding her own publishing house, Annemarie also manages and owns a real estate company and a publishing house. She also acts as a private equity investor in many foreign countries as well as in the Netherlands.